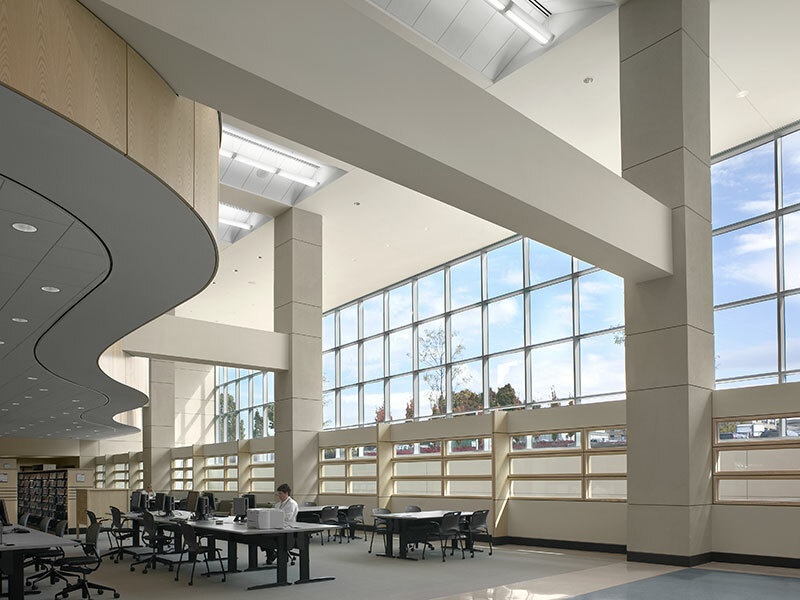 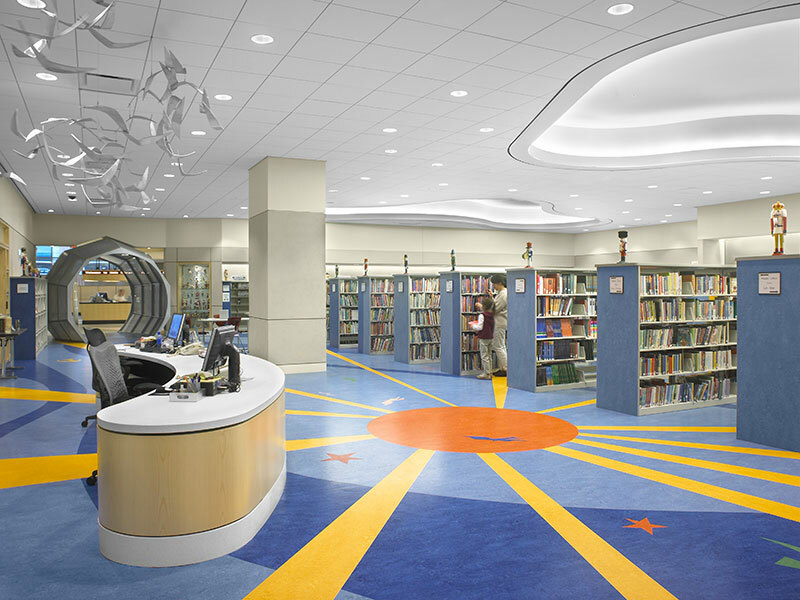 The project included a new 112,000 sf addition as well as complete renovation of an additional 135,000 sf of the existing main library building. 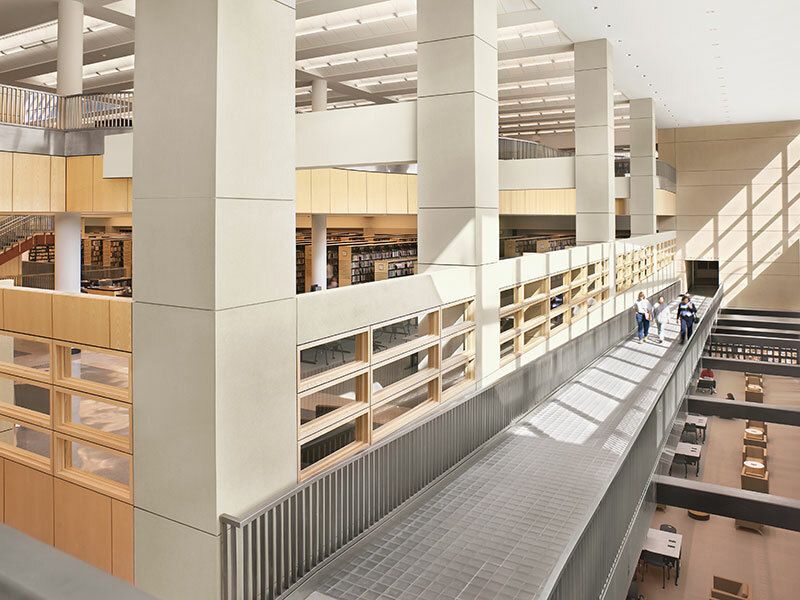 Featuring a three story atrium as well as numerous community spaces including a 425 seat auditorium, children’s area, computer areas, cafe, bookstore, public meeting rooms, art exhibition spaces, and an interior walkway which leads to a new 600 space parking garage. 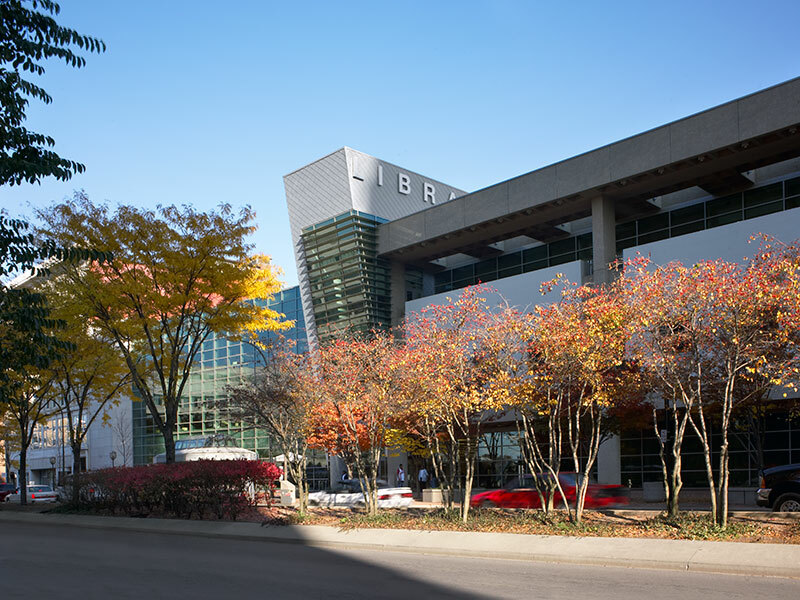 A landscaped park which features an outdoor amphitheater completes the project.